Home › Virtualization › Managing Software-Defined storage for your virtualized infrastructure just got a whole lot easier. 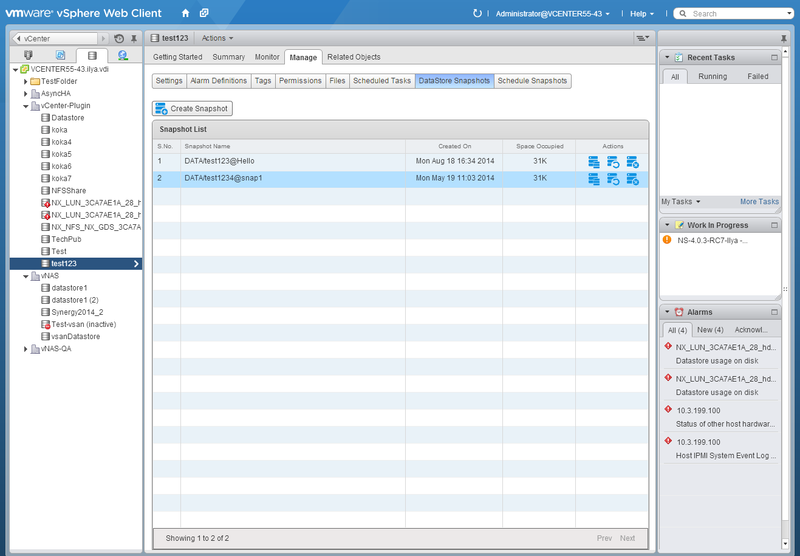 Nexenta is proud to announce our first vCenter Web Client plugin to support the NexentaStor platform. The NexentaStor vCenter Web Client Plugin is a plug-in for vSphere 5.5 and NexentaStor 4.0.3 that provides integrated management of NexentaStor storage systems within vCenter. 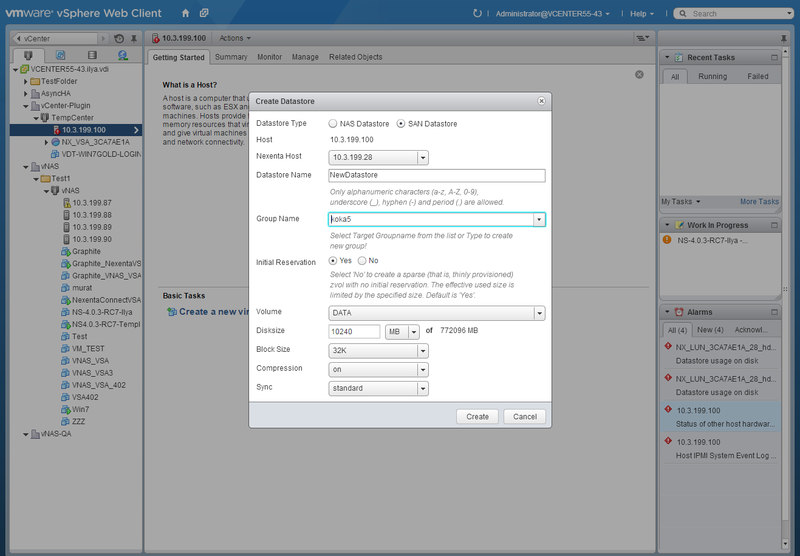 The plug-in will allow the vCenter administrator to automatically configure NexentaStor nodes via vCenter. VMware administrators can provision, connect, and delete storage from NexentaStor to the ESX host, and view the datastores within vCenter. Not only can you provision the storage but managing it is also simple with integrated snapshot management. The plugin also allows for closer analytics and reporting on the storage through vCenter as detailed below. Check out the screenshots below, and download the vCenter Web Client Plugin today from the NexentaStor product downloads page. ‹ Accelerate your Horizon 6 deployment with NexentaConnect 3.0!